Our selection of economy and premium heat sealers are suitable for sealing almost all heat sealable materials, including polythene, polypropylene and PVC. 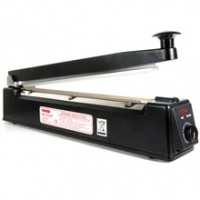 These heat sealers are ideal for wholesalers, distributers, factories, retailers, offices,caterers, laboratories, and domestic applications. 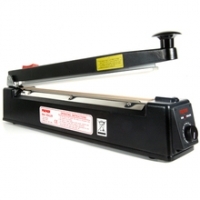 Heat sealers without a cutter are suitable for sealing pre-cut polyhene bags / tubing. Heat sealers with a cutter can be used in conjunction with lay flat polythene tubing to create custom-sized packing bags / tubing. Our wide range of lay flat polythene tubing is ideal for use with heat sealers.